Always on the hunt for creative, fun, and interesting places, events, and experiences. Melbourne is a city growing and expanding swiftly. There were less than 3 million people in 1970 and the population is now almost 5 million. Growth forecasts by ABS show the potential for 8 million residents by 2050. How did Melbourne expand, what are the opportunities and challenges, and how big could Melbourne actually get? 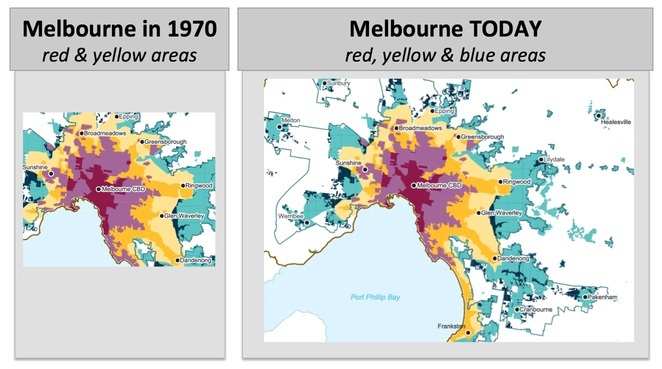 Melbourne grew steadily until the 1970s and then experienced a prosperous expansion through immigration, economic development, and population growth. The borders of Greater Melbourne now extend far into the peninsula, toward the ranges and recent land releases continue to grow the western corridor toward Melton. 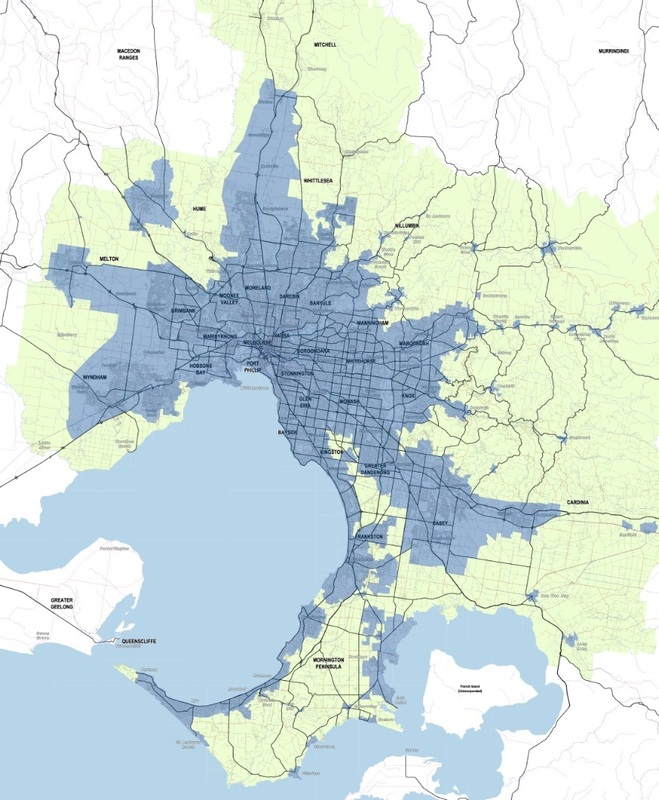 The State Government plan toward 2050 shows the large areas covered by councils in the outer metropolitan areas and the potential for the footprint of the city to exceed far beyond original expectations, as population growth continues to outstrip forecasts. As the city expands, there is an opportunity to retain the green belts that are vital for air quality, water security, food production, heritage preservation, and native flora and fauna. However, as suburbs move further into rural areas, the risk of bushfires increases. 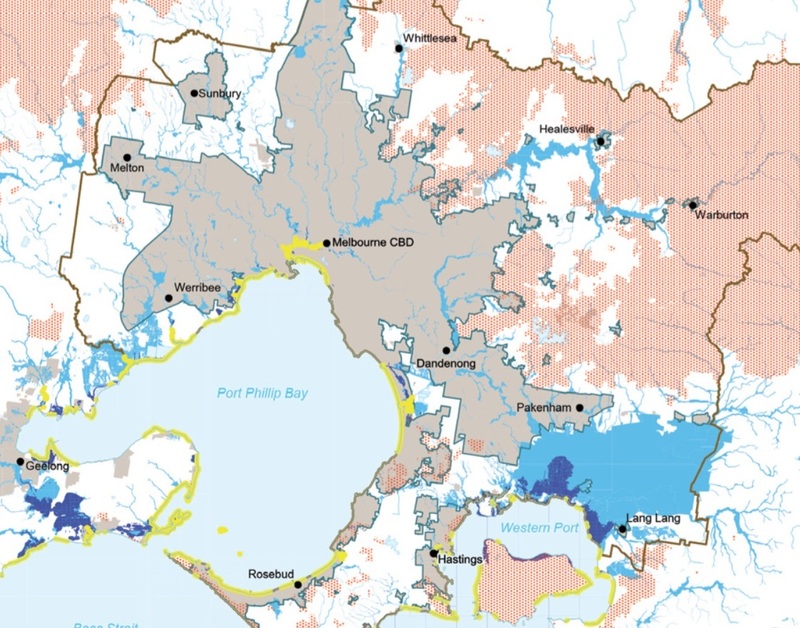 Areas expanding around the bay and along major waterways also face the increasing risk of flooding, as the climate changes, as low-lying land is cleared and built upon. The infrastructure, transport, and housing problems are significant, to ensure that urban centres remain connected. 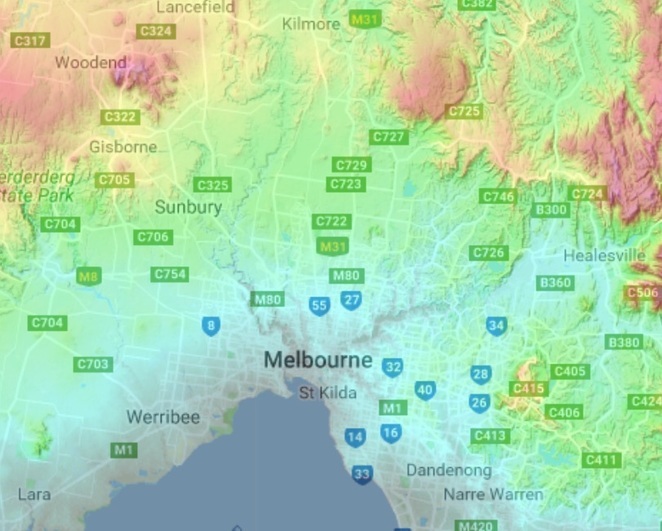 Suburbs and areas in the foothills and elevated areas of Greater Melbourne provide further challenges in the construction of roads and railway extensions. The Dandenong and Yarra Ranges, and mountainous areas create a ring around the north and east of Melbourne that will eventually curtail growth, with the bays toward the South acting as a barrier. 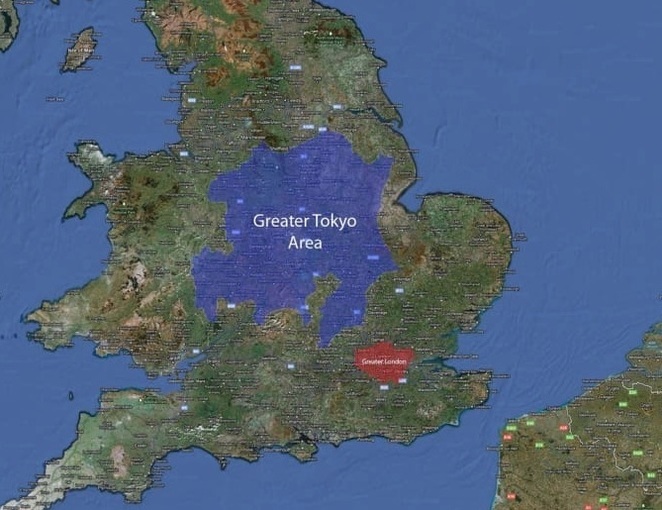 However, plains, towns, and arable farmland in the outer West are yet to be fully urbanised, and development of these areas is likely to continue for several decades. The potential for a Victorian megalopolis in 2100? For the original image, click here. 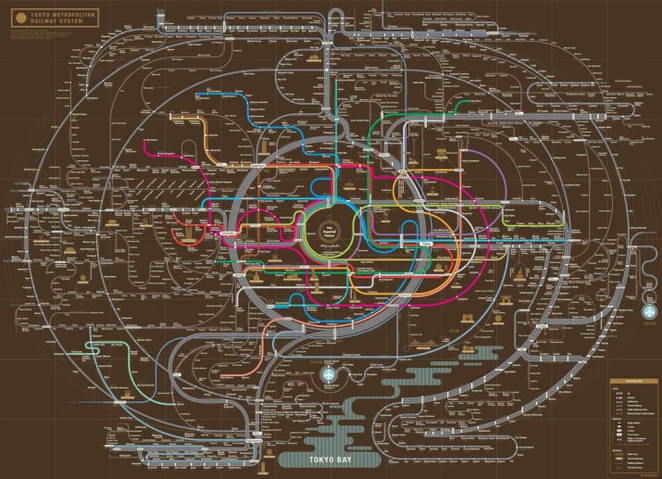 If you think getting to work on the train or tram is a challenge in Melbourne now, here's what the residents of Tokyo face each morning! Fo the original image, click here.